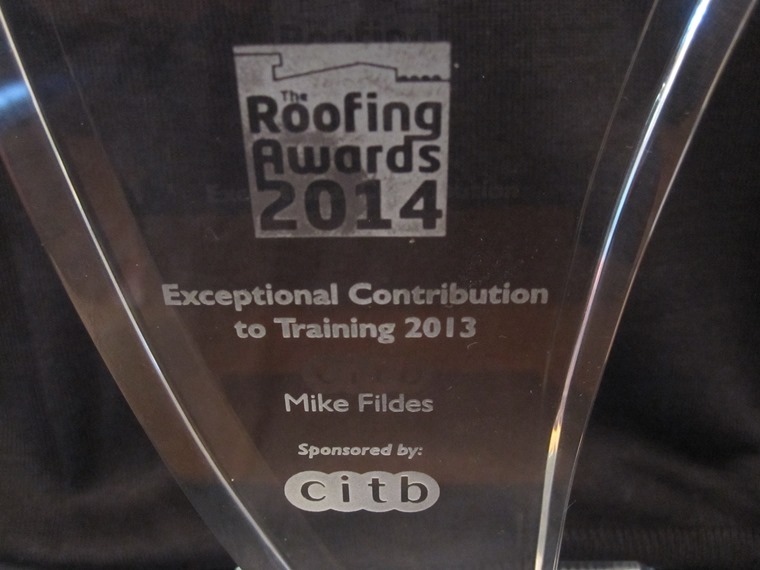 Congratulations to Mike Fildes, Managing Director of South Coast Roof Training Ltd, on receiving the award for Exceptional Contribution to Training in 2013, sponsored by the CITB, which was presented by Linda Barker, TV presenter and interior designer, at the NFRC Roofing Awards 2014 on 16th May 2014. The Heritage Roofing SUP course ended in early May with stone slates laid to the slope of a roofing rig. The next Heritage SUP course will start on 10th July 2014. Both cohorts on the roofing Diploma course are in the training centre for their next 4-week stint, one group is working with natural slates; the other group is working with plain tiles. More Lead Skills courses are being booked, with a programme of dates available until the end of 2014. South Coast Roof Training · Professional roofing training where quality counts.